Although Lucy is just beginning to forge a path to a successful music career, she has already gained the attention of music industry professionals through her gift for songwriting. Despite her young age, Lucy has the ability to tap into complex emotions to create heartfelt songs with mesmerising melodies. Lucy’s first single ‘Always’ won the Youth Category at the Australian Songwriters Association Awards in November 2017, and ‘Dancing With The Wrong Girl’ won the Hollywood Songwriting Contest early last year. 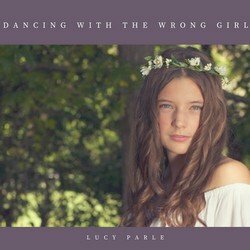 ‘Dancing With The Wrong Girl’ was also a finalist in the 2017 Australian Songwriters Association National Songwriting Contest and the 2017 Tamworth Songwriters Association Songwriting Contest. Lucy graduated from the CMAA Junior Academy of Country Music in July 2017 where she was mentored by Golden Guitar winning artist Ashleigh Dallas. During the Academy Graduation, Dallas described Lucy as ’an amazing vocalist whose confidence has grown in a week (at the Academy). Lucy writes great songs. She is infectious and I just think there’s something really really special about Lucy’. Whilst at the Academy, Lucy also had the opportunity to co-write with Ashleigh Dallas and performed this song at the Academy Graduation show. Dancing With The Wrong Girl is about a high school crush on a boy who already had a girlfriend. The song was written about being jealous of their relationship.